Tony Award-nominated actress Jenn Colella brought Broadway talent to the Reach for a Star Luncheon on Tuesday, April 9 at Crest Hollow Country Club in Woodbury. The annual event raises awareness and vital funds for extracurricular programs and afterschool activities for students with severe physical disabilities at the Henry Viscardi School at The Viscardi Center. 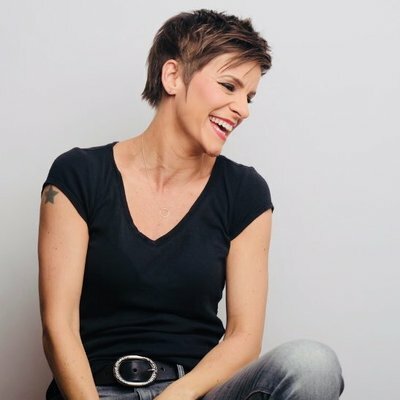 Jenn Colella, lead in the hit Broadway musical Come from Away, is slated to perform a selection of songs at the Reach for a Star Luncheon — an annual spring fundraiser that benefits extracurricular and after-school activities for children with severe physical disabilities from the Henry Viscardi School at The Viscardi Center — at the Crest Hollow Country Club on Tuesday, April 9. Tony Award-nominated Colella has appeared in several big-name productions over the years, including High Fidelity, Urban Cowboy, Chaplin, and If/Then. Albertson, N.Y. (August 14, 2018) — The Viscardi Center — a network of non-profit organizations providing a lifespan of services that educate, employ, and empower people with disabilities — announced on Monday that it has formally named its Albertson-based campus to honor the generosity and leadership of long-time supporters Michael and Jocelyn Pascucci and their family. The campus will now be known as “The Pascucci Family Campus of The Viscardi Center” to commemorate three-generations of commitment. 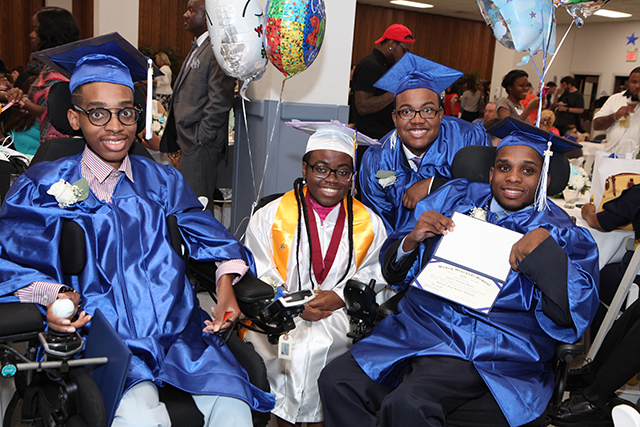 Sinocchi, who oversees workplace inclusion at JPMorgan Chase, addresses Viscardi grads about making a difference as a person with a disability. 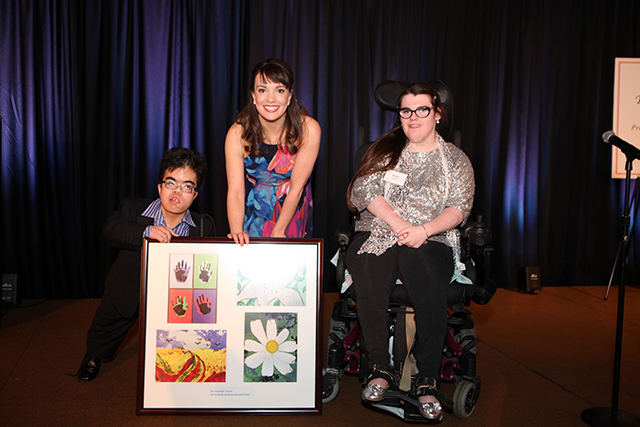 On April 10, Henry Viscardi School alumna Rachel Gross served as the keynote speaker at the 36th annual Reach for a Star Luncheon, which raises vital funds for extracurricular clubs and activities that enrich the lives of students with severe physical disabilities. Gross, who currently studies public relations and civic engagement at Hofstra University, discussed the many programs and services available at Viscardi that afforded her the opportunity to develop new skills, build up her confidence, and spend time with friends — just like other kids her age. Read Rachel Gross’s Reach for a Star Luncheon keynote address. The Viscardi Flea to benefit HVS. Come sell your unwanted items. On May 5, 2018, the National Honor Society Viscardi Chapter will host a flea market to benefit Henry Viscardi School at The Viscardi Center. The flea market will be held at the school from 10:00 am to 2:00 pm.